Magic at the Museum was short-listed for the Manitoba Book Awards "Best Illustrated Book of 2008". Magic at the Museum hit bestseller status in Winnipeg for the week of 6 Sept 2009. It is Anne's birthday. Her mother takes her to a museum and gives her a necklace. Anne does not want to look at the paintings in the quiet gallery; she wants her cake. She falls asleep and encounters the best birthday party of all. 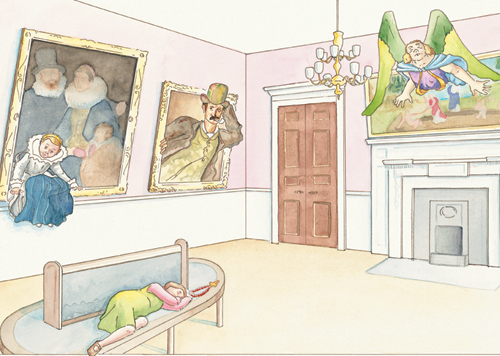 The children's book, "Magic at the Museum", is set in the Courtauld Institute of Art, London, where Jane Heinrichs did a masters degree in art history. 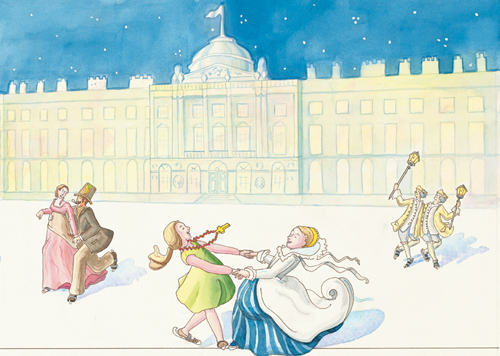 The paintings come alive, jump out of their picture frames, and lead Anne on a marvelous adventure to the Somerset House skating rink. The book was inspired by Jane's deep love for art, history and children's literature. She loved to walk through the gallery and imagine that the paintings were her friends. 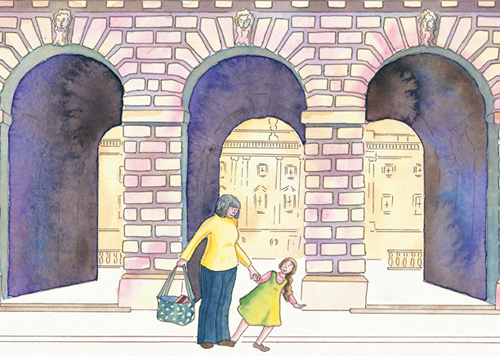 It is the perfect book to introduce young children to art and museums and teach them in a fun and whimsical way. All the paintings featured in the book are in the permanent collection of the Courtauld Gallery, and can be seen on any trip to the museum.